There are a few topics that once you get me talking about them, I pretty much can't shut up: Mary Poppins, natural childbirth (two babies sans epidurals, thankyouverymuch), the superiority of the A&E film version of Pride and Prejudice, beauty pageants (grrr! ), and the flagrant use of pluralostrophes, just to name a few. But, without a doubt, books are at the top of that list. Nothing gets me as excited, emotional, and passionate as the topic of books and the importance of reading. In fact, it's taking pretty much all the restraint I have to not go on and on about my love of reading: my bookwormy childhood and adolescence, my college experience as an English major, the time I spent as a Community Relations Manager at Barnes & Noble, how The Read-Aloud Handbook shaped a huge facet of how I parent, share my other all-time favorite books, refer you to my bibliophile Pinterest board, tell how I'm writing a novel....see, I'm doing it anyway. Stop, Heather, stop. 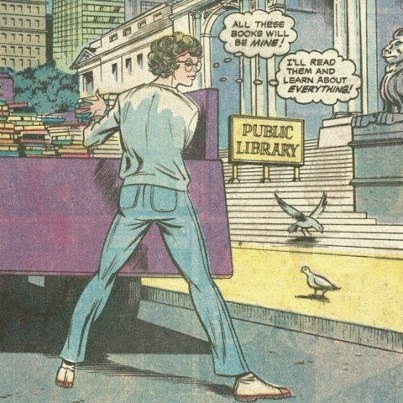 As you can imagine, I also have strong feelings about the importance of libraries as well. As Walter Cronkite said, "Whatever the cost of our libraries, the price is cheap compared to that of an ignorant nation." Libraries are absolutely essential. Then in 2012, when my oldest started kindergarten, I had an idea to listen to audiobooks with the kids in the car since we had a little bit of a drive to school (about 15 minutes each way). 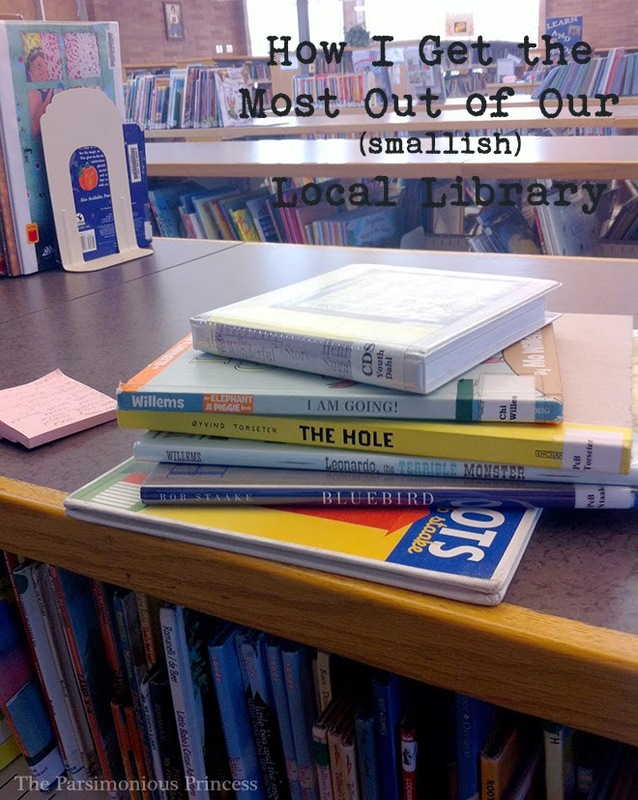 I knew the local library had an audiobook section for kids so I tried it out. Pretty soon, we started checking out some of the picture books in the section nearby and before I knew it, trips to the library were becoming a biweekly thing, if not a sometimes weekly trip, with us leaving with a stack of books. What I've learned is that I wasn't really approaching the library in very constructive way before. Sure, the selection wasn't great (for the record, it has gotten better), but I expected it to serve me, thinking I could just walk in, find exactly what I wanted easily, and leave. That doesn't always work with a smaller library like ours. It takes some advance planning, as well as use of all of the library's resources. 2. Check the library's website first. When I've found a book that has piqued my interest, I head over to my local library's website to check their online catalog. If the book is in their catalog, I put it on the reminder list in my PaperBackSwap account; if it's not in the catalog, I put it on my account's wish list. This helps me know at a glance what my library has. If I think ahead enough, I'll check the library's website before we go to see if the books on my reminder list are available or if they're checked out. 3. Keep a list with you. A lot of the time, my boys and I will just hit the library on a whim while we're out on an errand. Instead of trying to remember what I have on my reminder list, I just pull out the list I keep in my wallet. (Granted, I could log in to my PaperBackSwap account on my phone but the site doesn't really have a great mobile version -- at least last time I checked). I also keep a list in the bag I take to the library for our planned trips, just in case I'm in a hurry and don't have the time (or I'm too lazy) to check online. This list is just a bunch of titles that are on my reminder list, along with the last name of the authors. I really like and often use this printable for a good pocket-size list, but your list doesn't have to be fancy. Take the picture above -- that pink pad of Post-It notes next to the stack of books is the list I've been keeping in my library bag. 4. The library's waiting list is your friend. I totally under-utilized the waiting list option back when I was frustrated with my local library. I would complain about the library not having what I wanted, but I never did anything about it besides leave empty-handed. Now, I'll get on the waiting list for books that I know I want to read, even when I'm in the middle of a bunch of others. It's always a fun surprise when I get an email from the library when I've made my way to the top of a waiting list. I do this with books for the kids, too; I'm off to pick a book for them up off the hold shelf today. I don't know how long my library has had OverDrive, but it's pretty new to me. And let me tell you -- I. Love. It. Basically, it's a way to download books from your library onto your computer, e-reader, iPod, and/or phone. My first love will always be tangible books, but I'm trying to be flexible and open-minded when it comes to e-books. Quite often, the library won't have the physical copies of some books I want, but they'll have the e-book version as an option. The books are available for 1-2 weeks (depending on the limits set by your library) and when the time is up, they automatically return themselves. No need to worry about overdue fines or the library cop coming after you. I first learned about OverDrive when I read about it on this post about getting into audiobooks. Listening to books with my boys in the car had been so much fun, I wanted to do it just for myself. I followed this helpful tutorial to help me download audiobooks onto my iPhone via the OverDrive app. It's so easy! 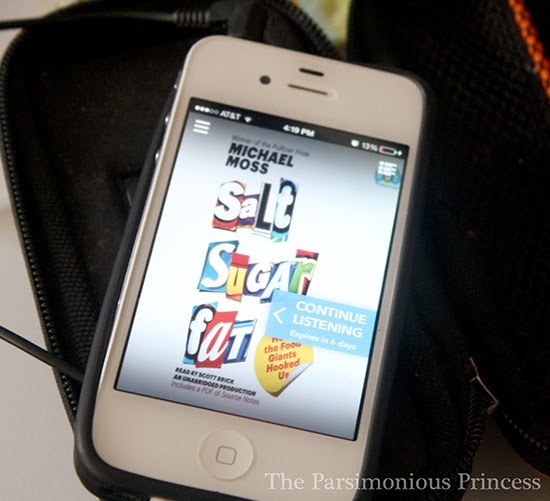 I love that I can take whatever audiobook I'm listening to with me everywhere. Unlike with CDs, I don't have to worry about losing my place or having a CD player. I just plug it into the adapter in my car or into my portable speaker. I also love the feature that lets me speed it up -- lately I've been listening to the book pictured above at the 1.5x speed. I resisted getting a Kindle for so long. 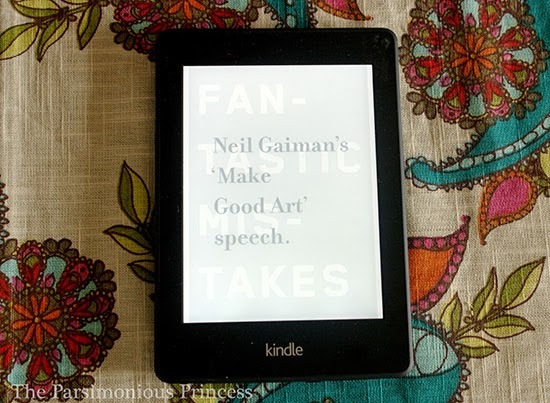 However, once I realized how that there were a lot of books I could get via OverDrive, I was finally convinced and my husband got me a Paperwhite for my birthday. Like I said before, I definitely prefer holding a real book and turning real pages, but I'm digging this little Kindle. Today, I downloaded my first e-book via OverDrive and it was really pretty easy; I used this tutorial to help me do it. I still have my book-buying Amazon habit and I still fully intend to keep buying the books I love for my home library, but I have saved quite a bit of money since the library and I got reacquainted. And I have to say, I didn't realize how much I'd missed that feeling of carrying an armload of borrowed books out of the library, because it is a pretty fantastic feeling.